ALDIMobile offers unique, flexible and affordable prepaid mobile plans. ALDImobile is committed to offering high quality products at exceptional value with no lock-in contracts, no flag fall rates, low call rates, fair and transparent pricing and brilliant coverage using a fast and reliable network. 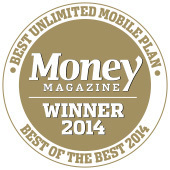 ALDImobile is the smarter choice for Australians looking to maximise their telecommunications dollar. Switch to ALDImobile today and save. As Aussie smartphone users continue to chase better service value, many are turning to prepaid options as a convenient and cost effective solution to meet their individual needs. Canstar Blue's research determines which prepaid service providers are meeting expectations and in 2017 ALDIMobile was rated highest for overall customer satisfaction, as well as value for money. 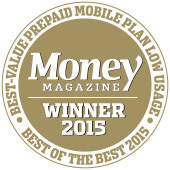 ALDImobile has picked up the award for Best-Value Prepaid Mobile - Low Usage for the PAYG plan in Money magazine's 2016 Best of the Best awards. Money magazine says the standout feature of this plan is the 365-day credit expiry. Winners were ranked by the days to expiry and the price of a two-minute call. Providers with 50% more than average TIO complaints per 10,000 subscribers a year were excluded. Roy Morgan Research has over 70 years' experience in collecting objective, independent information on consumers. Our customer satisfaction ratings are collected from Roy Morgan's Single Source survey of approximately 50,000 Australians annually. For more information, see here.